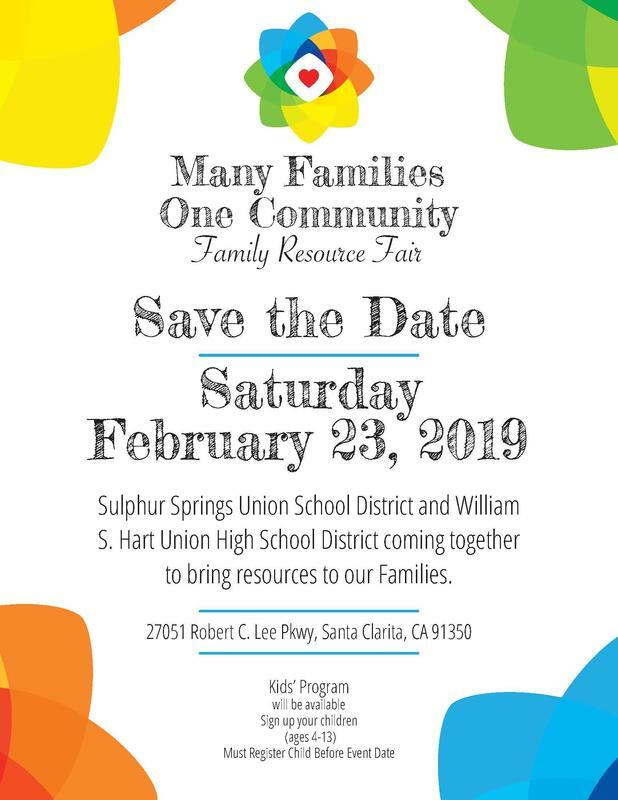 Many Families, One Community Family Resource Fair will be held at Golden Valley High School on Saturday February 23, 2019. This is the third year of our collaboration between the Hart District and the Sulphur Springs School District. More information is coming!